Stuffed peppers are a comfort food for Americans and Israelis alike. But the two versions vary quite a bit in their spice profiles and methodology. 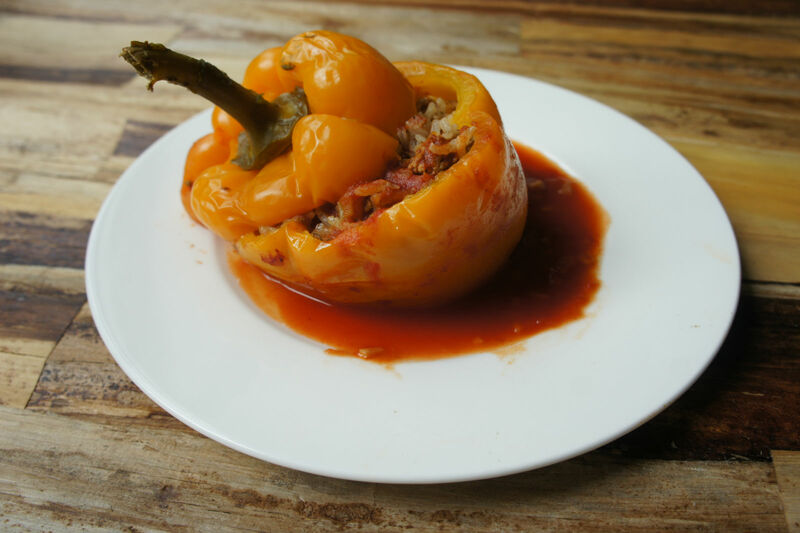 American-style stuffed pepper are often topped with cheese, stuffed with corn, beans, rice, and sometimes meat, and feature a more Tex-Mex spice mixture. In the Sephardic tradition, it’s common to stuff all kinds of vegetables: stuffed onions, stuffed zucchini, stuffed eggplant, and yes, stuffed peppers too. Filled with rice, meat, pine nuts, raisins, fresh herbs and varying spices, the Israeli and Sephardic versions are saucier than their American counterparts, and often impart a sweet and savory flavor profile; the American version is typically just savory. 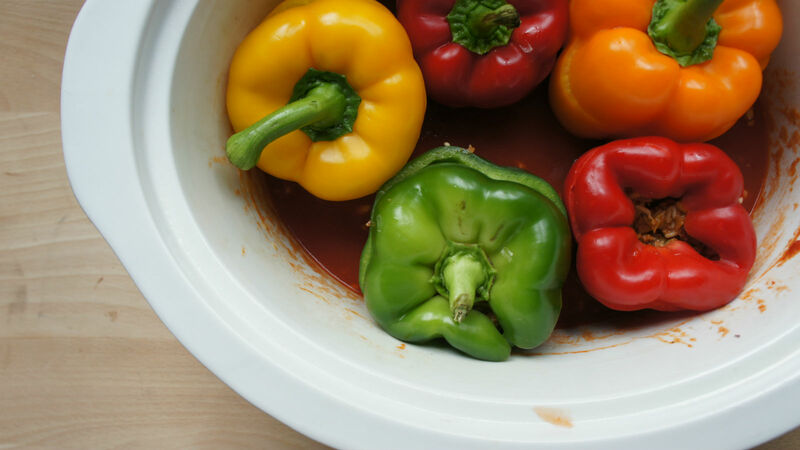 This version is inspired by a recipe from Janna Gur, a story from a colleague about her weekly stuffed peppers and my desire to make a weeknight-friendly recipe that you can cook right in your slow cooker. 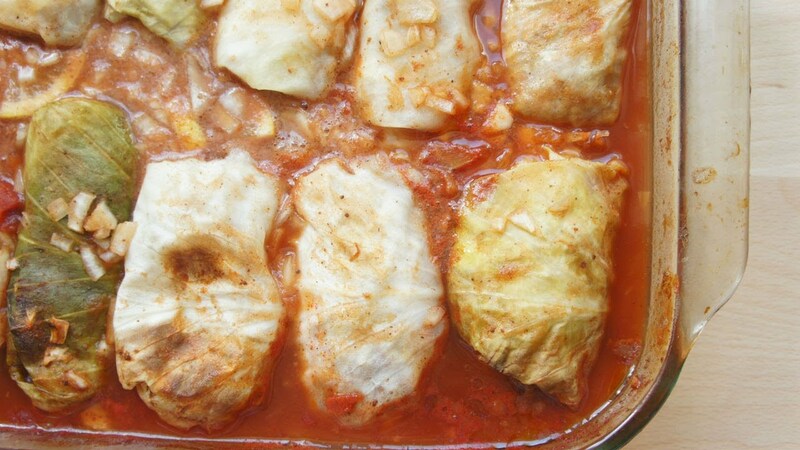 If you prefer to make it in a traditional pot on the stove, or in the oven, cook for approximately 2 hours on medium-high heat (or 375 degrees in the oven) instead of using a crockpot. You can watch the short video below to see the whole process. This recipe is inspired by Janna Gur’s recipe for stuffed peppers featured in her second cookbook, Jewish Soul Food. Spray the inside of 6 or 7 quart crockpot with a nonstick spray. Add tomato sauce, water, garlic cloves and honey to pot. Stir to mix. Arrange peppers in tomato sauce in the pot. Heat oil in a large saute pan over medium heat. Saute onion until translucent. Add spices and cook another minute. Add rice, pine nuts and grated tomato and stir to coat for 2-3 minutes. Add meat and break up with the back of a wooden spoon. Cook until meat is no longer pink, another 2-3 minutes. Scoop rice-meat mixture into each pepper until filled three quarters of the way. Place tops to each pepper on top (this step is optional). Cook on high for 3-4 hours, or low for 7-8 hours. What to do with that leftover moist chicken from your soup-making?